I'm glued to every update on Erie Basin. 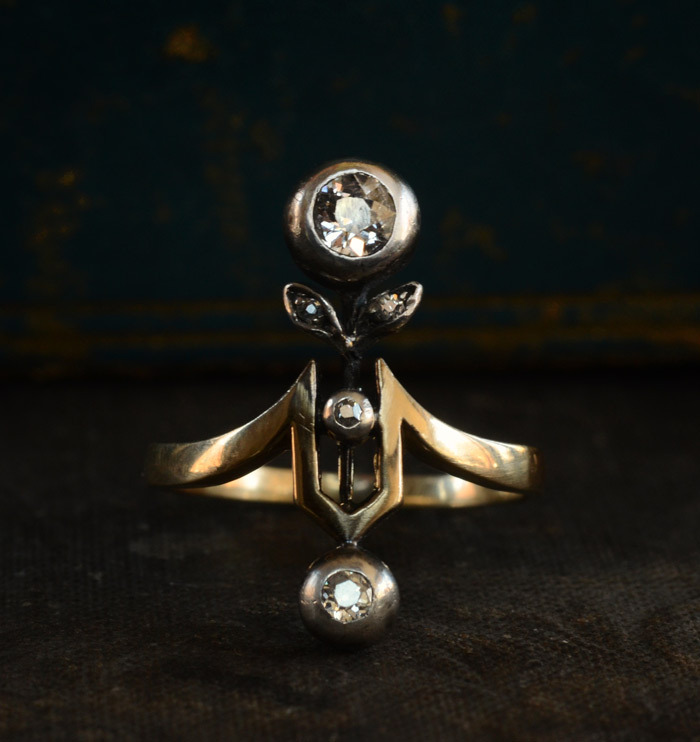 He has such an eye for exquisitely designed jewelry and antiques. This ring is by far my favourite that he's ever posted. I've never seen anything quite like it. It's such a unique design and would make a wonderful engagement ring. Sadly for me it sold quite quickly, but I'm sure that someone out there is lovingly wearing it.